Destination Knowlton >: Back to School: Watch Out For Our Kids! The Eastern Townships School Board is back in the swing of things and the schools and playgrounds in Knowlton are buzzing with activity and games. The excitement of returning to class is still being felt by many families and with children running about the school yards chasing each other and playing it is important that drivers take extra care when driving through our school zones. 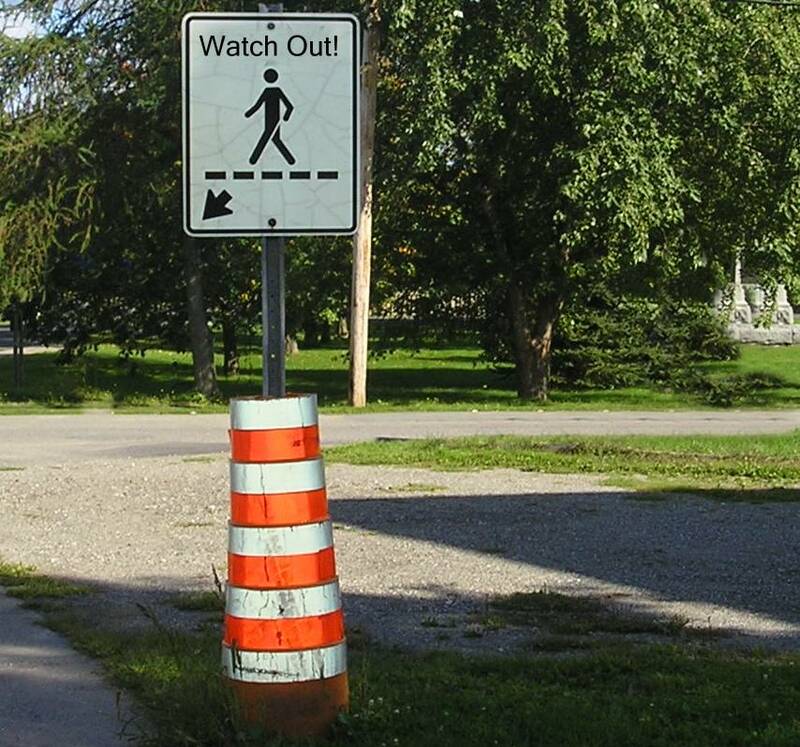 The Brome Lake council is working hard to get support from the Ministry of Transport to help reduce dangers to inhabitants(it was just announced that Transport Quebec will actually be installing a new flashing traffic light on Route 139 and McCurdy Road in West Brome) but we all have to remember that all of us have a role to play. The town of Knowlton has installed some very high-end cobblestone crosswalks this summer and some large and well defined pedestrian crossing areas on Knowlton Road, Victoria and Lakeside as well as other roads and a petition has recently been presented to council trying to get speeds on certain roads reduced from 70 km/h to 50 km/h to prevent accidents. Even with such installations it is not hard to see cars rushing through designated crosswalks when there are people actually waiting to cross the street! We often consider these folks to be Montreal drivers but there is some local drivers who sem to have a "blind-spot" for the crosswalk signs. Cars have been spotted failing to stop for pedestrians in the crosswalk at the Knowlton Academy crosswalk and even in front of the daycare on Victoria street cars have refused to stop when pedestrains waited for them to stop and yield. The crosswalk in front of the Post Office is usually a safe bet to have the traffic give people a brake but it is frustrating when impatient drivers don't let the foot-traffic pass. Such bad manners...they must be visiting from the big city!! It's up to us to set the example. 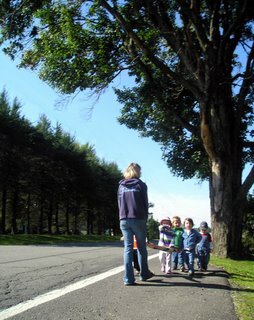 After all, life here is rather slow-paced so when we see little-ones in the streets waiting to cross we should do the right thing and slow down. Children are being taught to respect the traffic signs but when a group of youngesters stand in a crosswalk and see a car drive right by them without stopping it sends a poor message! 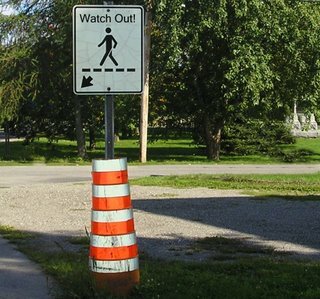 Most of us who have travelled in Canada have seen that in many areas a pedestrian only has to think about crossing the street and the cars will begin to slow down! While Quebec drivers are not at that advanced stage yet there is still hope! Maybe we just need a little reminder that safety is all of our responsibilities and the city and transport Ministry can make improvements but all of us have to try and set the example! So here is a reminder: Slow down for the sake of the kids!